(RxWiki News) New oral blood thinner rivaroxaban (Xarelto) has been shown to be safer for treating a pulmonary embolism as compared to enoxaparin (Lovenox) injections, and was found to be just as effective. A pulmonary embolism occurs when a blockage develops in lung blood vessels, most often because of a blood clot. The phase three EINSTEIN-PE trial compared rivaroxaban with the standard therapy, comprised of an injection of enoxaparin followed by a vitamin K antagonist (VKA) such as warfarin (Coumadin) to prove that the oral medication is equivalent to the more complicated therapy. Patients must be monitored through blood testing to ensure the dose is safe and effective after receiving VKA, and common drugs and foods can create interaction problems. "Discuss appropriate treatment with your cardiologist." Dr. Harry R. Buller, professor of vascular medicine at the Academic Medical Center in The Netherlands, who chairs the program for the three EINSTEIN studies, said that if the standard treatment is given correctly it is 90 percent effective in preventing recurrent blood clots, though it has to be well controlled. However, he said the combination injection therapy is "a nightmare to give," prompting a search for alternative therapies. "Rivaroxaban makes things easier for everybody – patients and physicians. Our major aim was to show that it’s at least as good as standard care,” Dr. Buller said. Rivaroxaban is the only oral anticoagulant currently approved by the U.S. Food and Drug Administration. It was designed to prevent blood clots in patients who have undergone knee or hip replacement surgery, since the operations can carry clotting risks. During the large international clinical trial conducted at 263 medical centers in 38 countries, 2,419 patients were randomly assigned to rivaroxaban and 2,414 were assigned to standard therapy. All of the patients had been diagnosed with a pulmonary embolism, and about 25 percent also had deep venous thrombosis, in which a blood clot forms in one or more deep veins, often in the legs. Participants received treatment for three, six or 12 months as found appropriate by clinicians. The average treatment period was seven months. The rivaroxaban group took 15 milligrams twice a day for three weeks followed by 20 milligrams once a day. Patients in the standard-arm therapy received one milligram of enoxaparin per kilogram of body weight twice a day. The treatment was continued for at least five days and stopped when INR was at 2.0 for two or more consecutive days. INR is used as a monitoring measure. A higher number signifies a higher risk of bleeding. Patients receiving the standard therapy also started VKA within 48 hours. The dose was adjusted so that they could maintain an INR of 2.0 to 3.0. Rivaroxaban was found to be effective and "highly significant for non-inferiority" with 2.1 percent of patients experiencing recurrences as compared to 1.8 percent in participants receiving standard therapy. 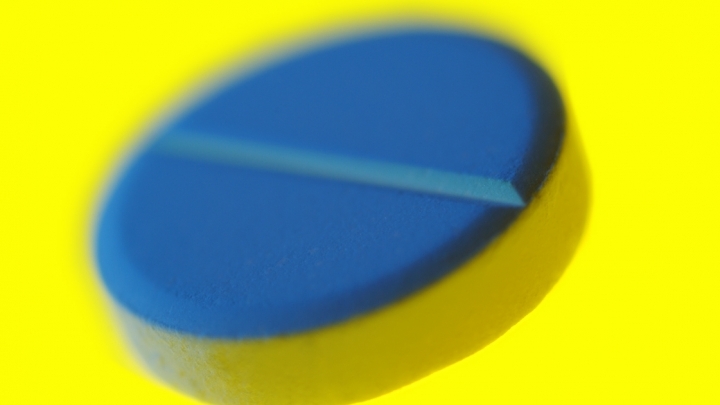 When it came to measuring safety measures associated with bleeding, rivaroxaban showed an advantage with 10.3 percent experiencing bleeds versus 11.4 percent receiving conventional intervention. In addition, 1.1 percent of those taking rivaroxaban experienced major bleeding compared to 2.2 percent among those receiving traditional therapy. A sub-analysis is planned to develop a risk profile for patients likely to have bleeding problems while taking the new drug or the standard treatment. The trial was funded by Bayer HealthCare and Janssen Pharmaceuticals. Dr. Buller receives reimbursement for patients who participate in the study, travel costs and administrative time, and those funds go to the hospital. The study was presented Monday at the American College of Cardiology’s annual scientific sessions, and was simultaneously published in the New England Journal of Medicine. American College of Cardiology, "NOVEL DRUG IN PILL FORM SAFER THAN STANDARD APPROACH TO TREAT BLOCKED LUNG BLOOD VESSELS"